Expression of the vitamin D receptor protein may help protect against aggressive forms of breast cancer but has not yet been linked to improved patient survival. The study has been published online ahead of print in Clinical Cancer Research, a journal of the American Association for Cancer Research. Vitamin D receptor is a protein that regulates numerous genes involved in a myriad of cell functions and has been implicated in cancer. In this study, a team that included Jamila Al-Azhri, MD, a surgical oncologist from King Fahad Specialist Hospital, Dammam, Saudi Arabia, who at the time was a visiting physician at Roswell Park, analysed breast tumour tissues from 1,114 female patients. 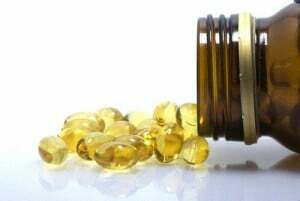 They evaluated vitamin D receptor status along with tumour characteristics and hormone receptor status. Low levels of vitamin D receptor expression were associated with more aggressive disease. “Our findings imply that vitamin D might have preventive benefits against triple-negative cancers, an aggressive breast cancer subtype,” notes Dr. Yao. The scientists also examined overall survival, progression-free survival and breast-cancer-specific survival. Despite the strong associations of low levels of vitamin D receptor with tumour characteristics, there appeared to be no association between low levels of vitamin D receptor with patient survival outcomes after a median follow-up of six years. These findings suggest that although vitamin D receptor protein levels are correlated with many characteristics of aggressive breast tumours, the associations might not be strong enough to impact patient survival. “We speculate that the tumour vitamin D receptor levels might change throughout the course of the disease, are modified by circulating vitamin D levels, or are subject to molecular controls by vitamin D, genetic variations and other factors. Further studies are needed to elucidate the mechanisms impacting the regulation of vitamin D receptor expression in breast tumours,” adds Dr. Yao.